Ernst's Economy for you: The unreliable and uncredible government. Is it just a coincidence? The unreliable and uncredible government. Is it just a coincidence? The unreliable and uncredible government. Is it just a coincidence? Or part of a disturbing trend in which the assertive and justifiably displeased citizen is deliberately ‘sent out into the forest’ with false claims and appeasements?! In the Dutch polder of Flevoland, both Schiphol Amsterdam Airport and the Dutch government are involved in the development of a new airport, called Lelystad Airport. Lelystad Airport, which is developed on the foundation of a local airfield for small airplanes, will become the new, designated charter airport of The Netherlands in 2019. Room (for expansion) is amply available in the polder around Lelystad, so it is not very hard to understand why this area is chosen by Schiphol Group as the location for the new charter airport. 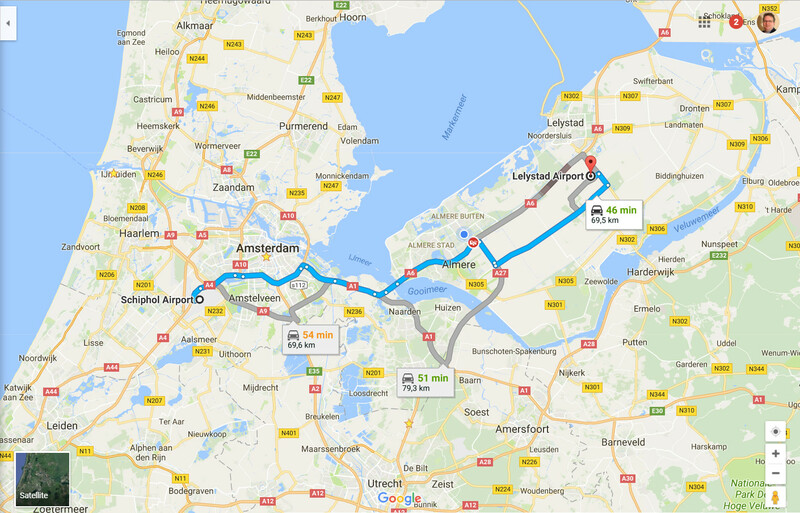 Lelystad Airport is meant for taking away the low-end charter flights from Schiphol Amsterdam Airport, which struggles with its expansion possibilities, and handling those in the polder near Lelystad, Flevoland. By doing this, Schiphol Group hopes to increase the number of ‘moneymaking’, high-end transit flights, in which Schiphol acts as a hub for long, intercontinental flights between the US and the Middle or Far East. Otherwise Schiphol fears to lose these rewarding flights to Dubai or Istanbul Airport. The opening of Lelystad Airport is therefore a very good opportunity to let Schiphol increase its number of ‘high quality’ travellers. Together with an already planned, autonomous expansion of 15,000+ flights per year (to roughly 515,000 per year from almost 500,000 now), Schiphol sees good opportunities to make more money, based upon more, as well as 'higher grade’ travellers. This happens, however, at the expense of the charter travellers, who are in fact treated as second-rate travellers and will be banished to Lelystad, which will be a very small and basic airport without many facilities at the time of opening. Nevertheless, Lelystad Airport has many economic advantages for Schiphol and The Netherlands, doesn't it?! As a matter of fact, it doesn't! The circumstance that the new airport Lelystad Airport lies in the middle of some of the most beautiful nature parks in The Netherlands, like De Oostvaardersplassen, De Weerribben and De Veluwe is conveniently ‘forgotten’ by the government and municipality officials from Flevoland. These officials simply see the Euro-signs in their eyes from international air travelling and forget the undeniable (economic) value of beautiful nature for tourism and leisure. The inevitable consequence of this particular location between all those nature parks is that countless large land and water birds, like geese, swans, storks, harriers, herons and ducks, are very close by. This is 'forgotten' too by the powers that be. And large water and land birds are all – by nature – quite hazardous for the jet engines of planes, due to their size and weight. Especially the emigration and immigration of wild geese twice per year, which are flying in their characteristic V-shape with groups of 20 – 30 birds and have their home in the polder of Lelystad, is a serious hazard for jet planes; these are big birds that could really demolish a jet engine, when two or three are sucked in at the same time. But to cut a long story short: in the end the opening of Lelystad Airport was a government decision, which we as citizens have to respect. One of the difficulties of the new airport is that the Dutch airspace is already very (over)crowded from the massive numbers of flights on and off Schiphol and the other large airports Rotterdam and Eindhoven. And now Lelystad Airport needs to be ‘squeezed in’ with a soon considerable number of flights per year. To avoid interference between the air traffic taking off and landing on Schiphol and the charter traffic from Lelystad taking off and landing at the same time, the Dutch airspace has been divided in layers of different altitudes. The planes coming from Schiphol directly move to the higher altitude layers after taking off, while the planes from Lelystad have to remain at a lower altitude for multiple kilometers to avoid the Schiphol airtraffic. The lower altitude air traffic in a large perimeter around Lelystad is causing more noise pollution, air pollution and nuisance to the people and animals living beneath it, as the planes are much closer to the ground than normally. To investigate the amount of noise pollution the Dutch government ordered a so-called ‘Environmental Effect Report’-investigation (i.e. MER in Dutch). And this investigation did not measure the amount of noise pollution close to Lelystad Airport, using microphones and other measuring equipment, but calculated (!) it based upon scientific models. And as one of the main adversaries of Lelystad Airport – the very involved and driven ICT specialist Leon Adegeest (@LeonAdegeest1 on Twitter) – found out, those calculations that the government made were – deliberately(?) – full of fatal flaws, that made the value of the conclusions in fact null and void. 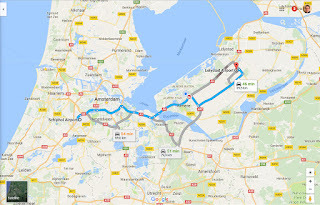 For instance, the calculation that the government made for the approach to Lelystad Airport, was based upon the jet engines running in stationary mode for most of the glide path within The Netherlands. One Tweep sighed that there was a name for this type of flight mode at this low altitude: “crashing down”! And so there were many more assertions in the MER report that seemed rather based upon wishful thinking and ‘science fiction’, than upon sound engineering. Leon Adegeest, who ran the gauntlet on behalf of the worried citizens, was initially mocked away by various governmental bodies on a number of occasions, calling him an amateur who dared to challenge the professionals with his simple Excel sheets. However, when Adegeest finally came in the picture on national TV with his own investigations about the amount of noise pollution, State Secretary Sharon Dijksma (Infrastructure & Environment) reluctantly admited that there had been flawed conclusions in the official government investigation, according to Het Financieele Dagblad. Of course, in case of Lelystad Airport, it made sense to calculate the amount of noise pollution instead of measuring it, as planes will only fly there in the future (i.e. as of 2019) and current measurements are consequently not possible. However, Schiphol Airport Group and the Dutch government, which are all perfectly capable of measuring the amount of noise pollution around Schiphol, also use this arbitrary calculation method for finding out the amount of noise pollution, air pollution and general nuisance for the people living close to the airport. And also in this situation Leon Adegeest found out that the same flawed calculation methods had been used, making the sheer value of the MER for Schiphol also null and void. To make things worse, every time when the boundaries for the number of flights towards and from Schiphol came close in the past, there came a new noise pollution calculation method or new standards and constraints for the tolerable amount of noise and air pollution and for air traffic safety. All these measures led to only one inevitable conclusion: Schiphol can grow further and nobody will be hurt by this! While doing this, the Schiphol lobby was mostly followed by the average Dutch citizen, who believed in the fairytale of the ‘Schiphol mainport’ concept, that would offer economic growth and additional jobs for eternity without any drawbacks. The ‘few people living in close range to Schiphol’ just had tough luck! It had been their own choice to live so close to an airport anyway. Too bad for them! A former minister for the environment, Pieter Winsemius of the liberal-conservative VVD, called this modus operandi of Schiphol with one, new Dutch verb: “Schiphollen”. He meant with this quite offensive word that when the constraints and standards did not fit Schiphol anymore, Schiphol would come up with new and more convenient ones. Ones, that would leave ample room for growth under all circumstances. Schiphol has done so in the past on many occasions and will continue to do so, bending and distorting the truth at will. National and local politicians will swallow this over and over again, like they always did. Are the Dutch government, as well as Dutch stateowned corporations really fair and honest to the Dutch citizens living under their sphere of influence? How serious does the Dutch government take its role of protecting the Dutch population against hazards from inside and outside the country. The Netherlands is a tax haven for large multinationals and has already been that for many, many years. Not so much due to the rate of its corporate tax (i.e. that is currently 25%), but especially for enabling the nearly free transfer of money coming from foreign dividends, foreign sources of income and legal fees (f.i. in the music and video industry), towards the tax havens in the Carribean. By doing this, The Netherlands has become a pivot point for many multinationals and internationally operative institutions that want to dodge paying taxes. And now the future Dutch Cabinet Rutte III has decided to decrease the corporate tax to 21% from the aforementioned 25% and bring the dividend tax down to nought from 15%, to the tune of roughly €2 billion in diminished national income. Not that the large multinationals really need this money – they don’t with the current stockpiles of cash money(!) everywhere – but just to lure them even more into our tax-friendly kingdom. And the Dutch citizen will foot the bill for this negative tax hike for corporations; in this case by an increase of 3% on the low VAT rate of currently 6%, bringing it to 9% on all basic food supplies and necessities for all households. That does not seem fair at all. On top of this, the new Dutch government agreement of Rutte III contained a ‘hidden’ increase in income expenses. In a small paragraph, stashed away in an attachment, the government announced another austerity measure to the tune of €2.1 billion on healthcare costs. As the healthcare expenses themselves will hardly drop under the current circumstances, it is clear that the Dutch citizens have to pony up this extra austerity, by either paying more money for their healthcare or getting less healthcare offered for the same amount of money. The fact that this austerity measure was not presented openly, but only disguised in the government agreement, makes clear that the intentions of the new government are not so clean cut as one would hope. And a few months ago, a devastatingly explosive report about lethally unsave situations in the Dutch military apparatus causing at least three casualties, sat for nearly three months at the Defence Ministery without anyone taking any clear action, including the Minister and the chief of staff. At the same time the Minister – who later resigned due to this report being discussed in the Second Chamber of Parliament – shamelessly pondered upon a new Minister’s position in the new cabinet Rutte III, seemingly not aware of the explosive contents of the report. Until roughly one year ago there had been the continuing soap opera around allegedly lost bills and invoices on the Security and Justice department. These bills would shed a unfavourable light on the State Secretary, who had worked as a public prosecutor in an earlier life and had struck a very favourable deal with a drugs criminal, leaving the latter with roughly €5 million in cash. Both the State Secretary and Minister stated that these bills could not be found… until they were found after all by a smart ICT specialist. In the aftermath of these events, that continued even longer, two Ministers of Security and Justice and one state secretary had lost their jobs. And the Dutch population lost a large share of their trust in the government. All these incidents together raise the question whether “the unreliable and uncredible government” is just a coincidence or a very disturbing trend of the last years. The cases of Schiphol Amsterdam Airport and Lelystad Airport prove that an uncredible government is not only inconvenient, but can put the lives and wellbeing of people under jeopardy. Especially in a crowded country like The Netherlands, where noise and air pollution are serious, health-threatening problems and where a plane crash can cause havoc and massive loss of lives. As long as the Dutch people cannot trust the Dutch government to defend their interests and safety in the end, the situation is opaque and dangerous. So I ask the Dutch government: please tell the truth when you can, even if it is inconvenient for the powers that be and the large stakeholders involved.